Philippines’ Typhoon Haiyan crisis: For climate justice now! Fight, don’t be afraid! Makibaka! Huwag Matakot! Statement by the Partido Lakas ng Masa (Party of the Labouring Masses, PLM). Reprinted from Links: International Journal of Socialist Renewal. November 10, 2013 — Partido Lakas ng Masa — The people are still reeling from the impacts of possibly the biggest typhoon to strike the country. Death toll numbers are rising rapidly. There is massive devastation. Many are still trying to contact their relatives, friends and comrades, but communication systems are down, in the hardest hit areas. How should we, as socialists, respond to the crisis? First, we have to support and take whatever measures are necessary to protect the people. This means all measures that bring the people immediate relief. In the hardest hit city of Tacloban, in South Eastern Visayas, the people are already taking what food and relief supplies that they need from the malls. The media reports this as looting and the break-down of law and order. But we say: let our people live. This is not “looting”. People are taking food, where they can get it, in order to survive. If there is no timely and organised support system from government, people just have to do it themselves and they should organise themselves to do it more effectively. Even some grocery owners understand the need for this. According to one report of a man who broke into a grocery store, “The owner said we can take the food, but not the dried goods. Our situation is so dismal. We have deaths in our family. We need to save our lives. Even money has no use here now.” Where possible, PLM will assist them to organise to take over food supplies and necessary relief goods. Then there’s the issue of the government response. Our experience has been that it has always been too slow and inadequate. Any efforts are undermined by corruption. The exposure of the organised plunder by the political elite and sections of government, of development funds or “pork barrel” funds meant for the people, is a testimony to this. This outraged the country and brought almost half a million people out in to the streets in a massive show of protest on August 26 this year. While one plunderer has been arrested, the president has not responded decisively to clean up the system. The public funds plundered by the elite should have been used for preventative measures to support the people weather these disasters: for infrastructure, including better sea walls and communication infrastructure; for early warning systems; for well constructed and therefore safe public housing, to replace huts and shacks built out of dried leaves and cardboard; for health and education; for equipment and personnel for rapid emergency response, and the list is endless. But no, this was not the case, it was eaten up by the greed of the elite classes. Unfortunately, we have no reason to believe that the government and the system will deliver and meet the needs of the people this time round either. The self-interest of the elite, and their control of the government and the system that is designed to perpetuate their interests, through the plunder of the people’s assets and resources, renders the entire set-up futile in the face of a disaster on this scale. Then there are our international “allies”, such as the United States government, who have sent us their best wishes. But these “allies”, so-called, are also responsible for the situation faced by our people. These typhoons are part of the climate crisis phenomenon faced by the world today. Super Typhoon Haiyan (referred to as Yolanda in the Philippines) was one of the most intense tropical cyclones at landfall on record when it struck the Philippines on November 7. Its maximum sustained winds at landfall were pegged at 195 mph with gusts above 220 mph. Some meteorologists even proclaimed it to be the strongest tropical cyclone at landfall in recorded history. 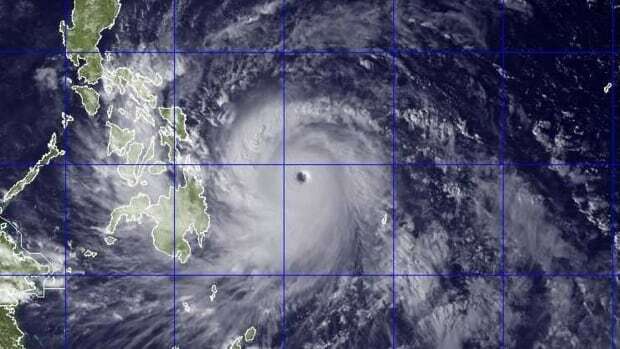 Haiyan’s strength and the duration of its category 5 intensity — the storm remained at peak category 5 intensity for an incredible 48 straight hours. The still-increasing greenhouse gas emissions responsible for the climate crisis are disproportionately emitted by the rich and developed countries, from the US, Europe to Australia. For centuries, these rich, developed countries have polluted and plundered our societies, emitting too much greenhouse gases to satisfy their greed for profit. They have built countless destructive projects all over the world, like polluting factories, coal-fired power plants, nuclear power plants and mega dams. They have also pushed for policies allowing extractive industries to practice wasteful and irresponsible extraction of the Earth’s minerals. They continue to wage environmentally destructive wars and equip war industries, for corporate profits. All of this has fast tracked the devastation of the Earth’s ecological system and brought about unprecedented changes in the planet’s climate. But these are the same rich countries whose political elite are ignoring climate change and the climate crisis. Australia has recently elected a government that denies the very existence of climate change and has refused to send even a junior minister to the climate conference in Warsaw, Poland. The question of climate justice –- for the rich countries to bear the burden of taking the necessary measures for stopping it and to pay reparations and compensate those in poorer countries who are suffering the consequences of it -– is not entertained even in a token way. The way the rich countries demand debt payments from us, we now demand the payment of their “climate debts”, for climate justice and for them to take every necessary measure to cut back their greenhouse gas emission in the shortest time possible. These rich “friends and allies”, so-called, have preached to us about our courage and resilience. But as many here have pointed out, resilience is not just taking all the blows with a smiling face. Resilience is fighting back. To be truly resilient we need to organise, to fight back and to take matters in to our own hands, from the relief efforts on the ground to national government and to challenging and putting an end to the capitalist system. This is the only way to ensure that we are truly resilient. Makibaka, huwag matakot! Fight, don’t be afraid!